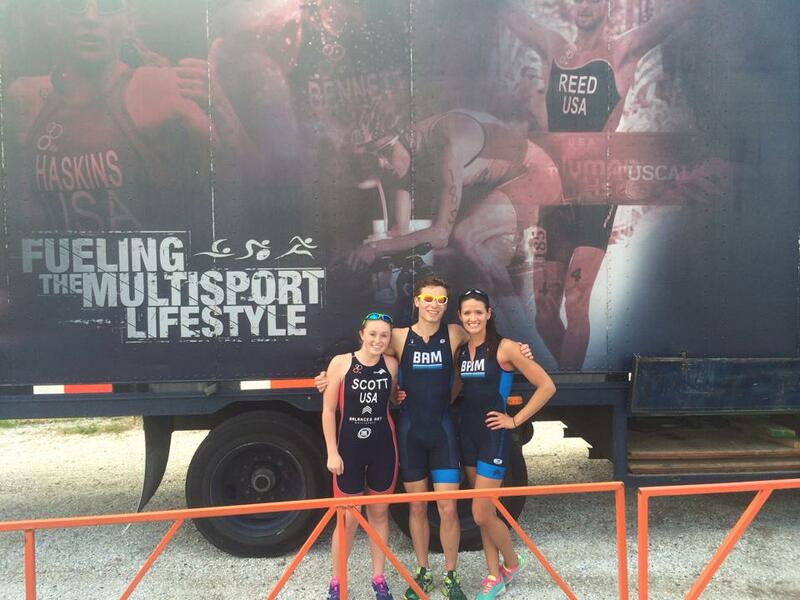 The past two weekends I was down in Florida racing with my team Balanced Art Multisport. We lovingly refer to ourselves as the BAM fam, because we really are a family. I spend so much time with these amazing people who encourage and believe in me. 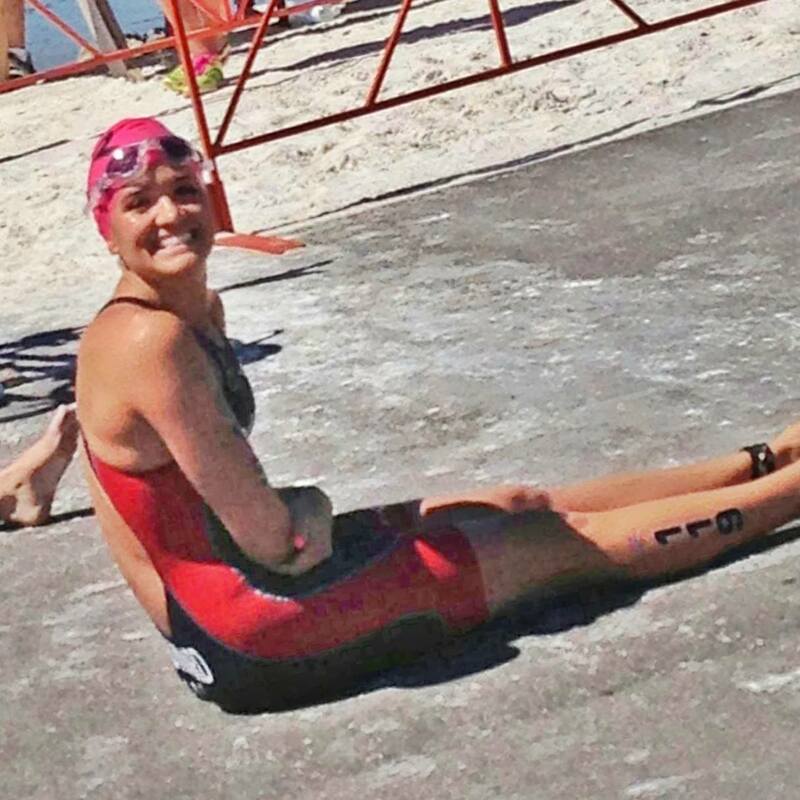 I feel so lucky to have such an awesomely supportive tri community here in Utah. So before I get into how the races went I want to say a very sincere Thank You! to my BAM fam. Particularly my coach Wesley Johnson, bike fitter Jeff Sherrod of Precision Bike Fit, and my great chiropractor Dr. Tom Fletcher. All of these people along with additional BAM family members (Jen, Kyle, Kade, Kobee, Honorary members: Shawn, and Lou) were there for me on Saturday in Clermont. I once again raced the ITU Elite race, a race that last year I didn’t even cross the finish line. This time I finished with a giant smile and tears in my eyes as I hugged all my cheerleaders at the finish line. They’ve invested a lot of time and energy in me and I was so happy that I was able to share that victorious moment with them. I also would like to thank the very talented sports psychologist I have been working with, Joey Johnson, creator of Worthy to Win. Joey was vital in helping me with a huge mental breakthrough. He helped me overcome the almost paralyzing anxiety I had just thinking about this race. This list is not comprehensive, it would take a whole day to sufficiently thank everyone who has helped and encouraged me these past seven months. I think it is suffice to say that I am one very grateful girl. This is going to be a GREAT season! Celebrating the end of Race Weekend #1 at Downtown Disney! Our trusty 12 passenger van. Okay now to talk a little bit about the races. I had 4 races in 9 days. Each weekend I raced back to back days. Saturday March 1st was the Clermont ITU Elite race where I had a very solid race. There are a lot of elements that I am still working to improve, but for the first “dust the cobwebs off” race of the season I couldn’t have been more pleased. The next day I raced in the EDR (Elite Development Race) and even managed to PR the run. Now you may ask, how exactly do you recover when racing back to back? Well thankfully they were both only Sprint distance races, but the answer is simple and painful…ice baths. This was one of four that coach subjected us to, for our own good of course. Monday we got to have a play day where the whole BAM fam went to Universal Studios, Islands of Adventure. Since I’m pretty much a total nerd, I have to say that Harry Potter World was my favorite. Sadly, by Tuesday many of the BAM fam members had to return home to Utah. The next three days Kade, Wes, and our new friends Shawn and Lou got in a few workouts to stay fresh between races. We ran on the famous Clay Trail in Clermont and swam at the National Training Center. I was hot, sweaty, and did NOT want my picture taken. Thus, I protested. Thursday we packed up the BAM mobile and headed to Sarasota. I stayed with the same wonderful family that hosted me last year, the very kind Grams and Gramps. Friday was typical course familiarization and pre-race meeting stuff. Then on Saturday I had another super solid race. Unfortunately I lost my bike pack after the first loop and had to ride the remaining two loops solo. I think that just motivated me even more because I PR’ed my 5k time with a 19:36! Yay! Junior Elite athletes, and fellow BAM teammates, Kade Hunter and Kobee Scott did great! 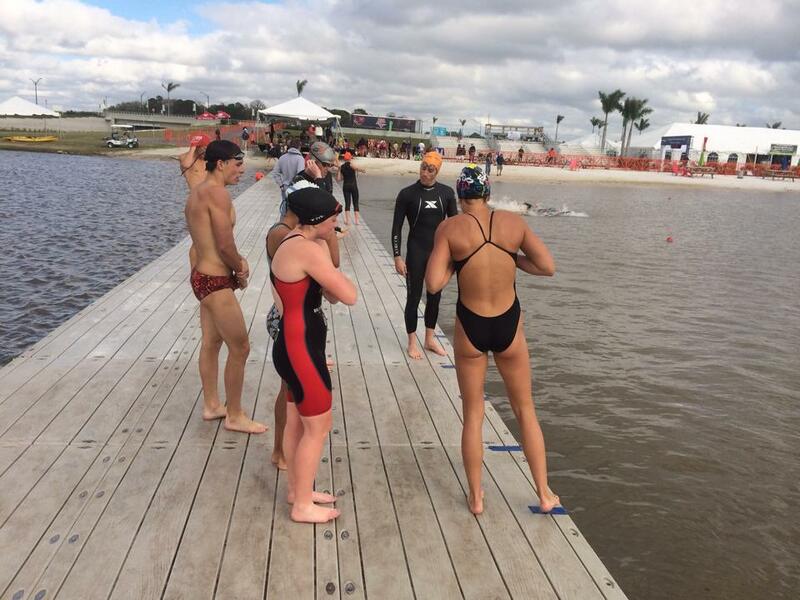 Myself and a few Junior Elite Athletes on the swim course. Trying to stay warm prior to the start of the race. Sunday was the last and final race of the trip. The Mixed Relay. I was on a team with Pro Hunter Lussi (an amazing athlete who swims with Michael Phelps and was first out of the water the day before in the men’s Elite race) and Junior Elite athletes, Seth Rider and Alexandria Lorenz. It was so much fun!! Here is an awesome video of our team during the race. I’m at about 5:00-10:00. The relay was such a fun experience, I really hope that I have the opportunity to race them more often. After my race on Sunday our coach Wesley Johnson decided spur of the moment to race the Age Group Non-drafting race and he did great!! From the race site we broke down bikes, hopped in the van, and boogied back to Orlando to catch our flight home. That was probably the best 4 races I have ever had and the whole trip was so much fun thanks to the wonderful people that I was traveling with. So it’s lucky for me that today I head down to St. George for a four day training camp with BAM! Yes! More BAM fam time! I’ll check in and let you know how it went next week! Until then Happy Training friends! Stay motivated! Races are just around the corner and I can assure you that crossing that finish line makes every early morning, every near puking workout, and every avoiding the delicious donut sacrifice, totally worth it!